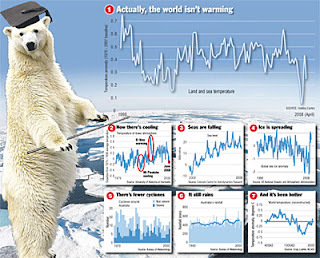 The Lord Monckton Foundation’s monthly Global Warming Projection Index number for July 2013 is 0.22 Cº. 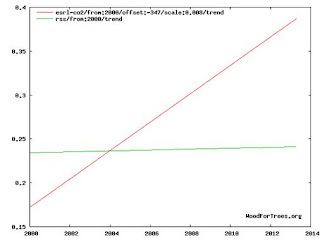 That is how much the IPCC’s central projection of global warming over the 8 years 6 months January 2005 to June 2013 has overshot the observed temperature trend. The long, unpredicted pause in global warming continues. 2005, equivalent to 202 μatm/century. On its own, this CO2 increase should have caused a radiative forcing of 0.24 Watts per square meter, or 0.34 W m–2 after including the influence of all other greenhouse gases. 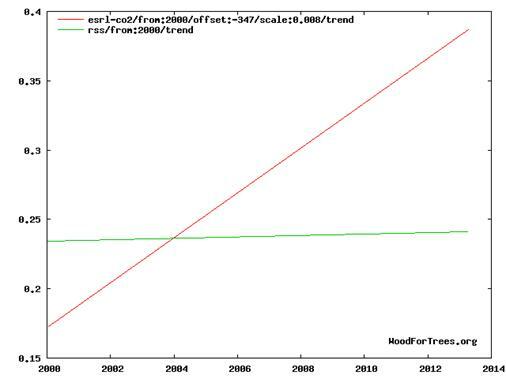 Even without temperature feedbacks, according to the IPCC’s methods this forcing should have caused 0.1 Cº warming. Adding in the IPCC’s temperature estimates of temperature feedbacks and of previously-committed global warming should have caused up to 0.3 Cº warming since January 2005. None has occurred.